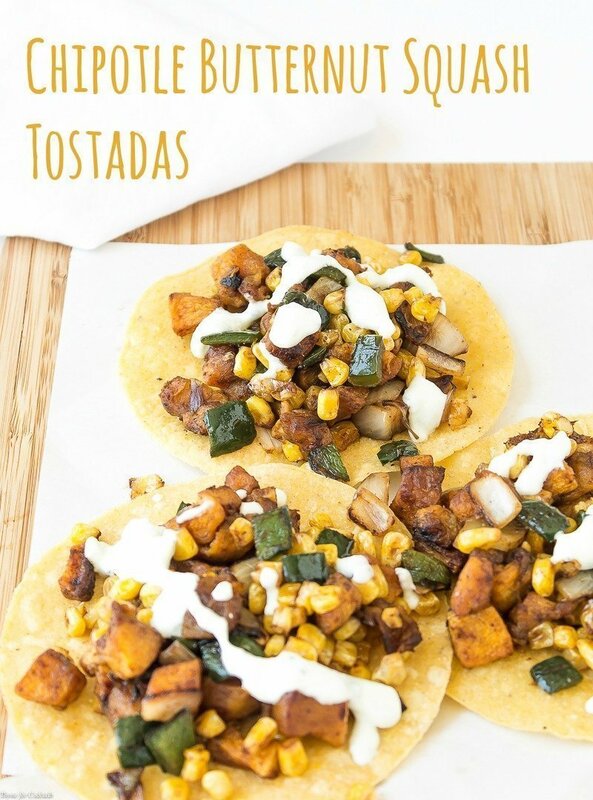 These gluten-free Chipotle Butternut Squash Tostadas are a veggie lovers taco dream come true. 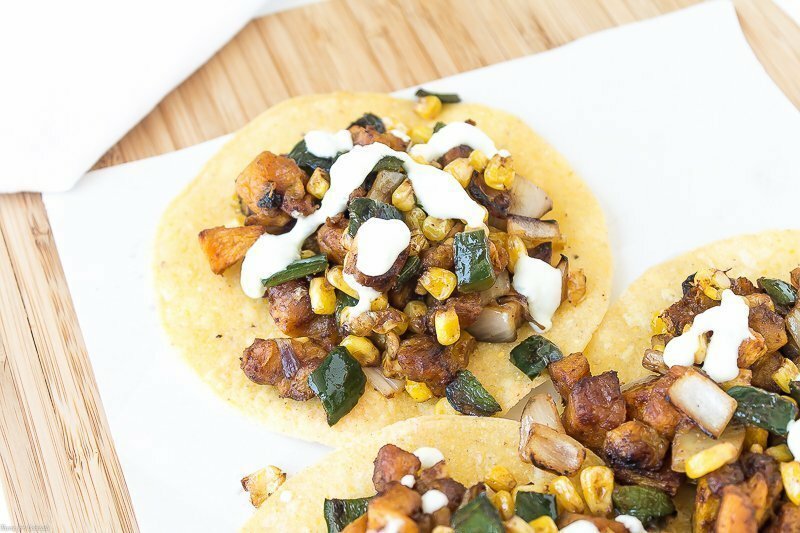 Spicy pan-roasted butternut squash, corn and poblano peppers topped with cucumber crema. Today started out really rough. A close friend made assumptions about a situation that were simply untrue, and rather than talk to me about it she decided to distance herself from our friendship. It is a kick in the gut that I am still processing. 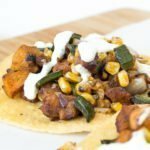 [bctt tweet=”Chipotle Butternut Squash Tostadas #spicy #tacos #glutenfree #vegetarian” username=”thyme4cocktails”] Add that to the other stressors of the last few weeks and it has been difficult to keep my spirits high today. But even depressed people need to eat and since it is Tuesday I opted to make tacos for lunch. I love roasted veggies but it is getting too hot to run the oven. Pan roasting is a great summertime substitute and gives you a similar charred flavor. These Chipotle Butternut Squash Tostadas are a seasonal favorite of mine and most of the ingredients are locally sourced. Chipotle powder gives the veggies are real kick, while honey helps balance the heat with sweetness. 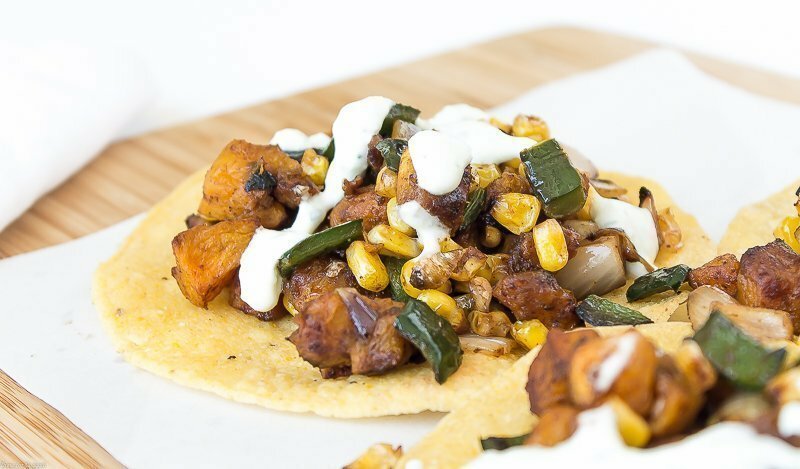 I decided to keep it gluten-free by using corn tostada shells and the cucumber crema really makes the dish special! In a large bowl toss poblano, corn, shallot and squash with oil. Place in pan, roasted 10-12 minutes until softened and slightly charred. Sprinkle with chipotle powder and drizzle in honey. Toss to coat. Salt to taste. Add cucumber and Mexican crema to a food process. Pulse until completely blended. 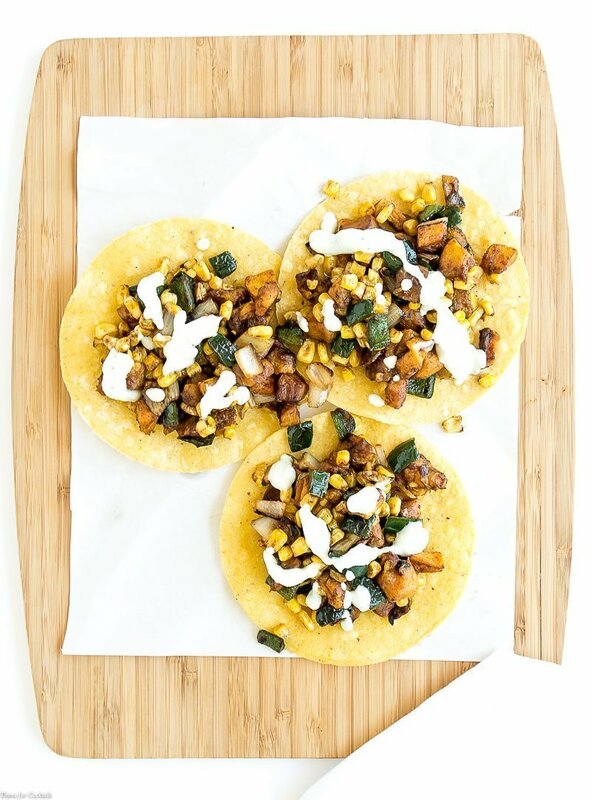 Spoon vegetables onto tostada shells, drizzle with crema. Serve immediately. What a fun twist on the taco. Love the idea of the butternut squash. YUM.